Q. 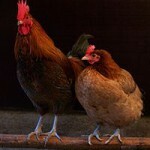 Which came first – the chicken or the egg? A. Belief in Creation postulates what looks like a simple story: yesterday there was nothing, today there is a world, and since worlds do not come into being out of the blue there must have been a Creator who made the world exist. That is all very well when we consider the stones and rocks and other inanimate elements: first there was nothing, then there were stones and rocks. But what about those things that have the capacity to grow, develop and generate other things? 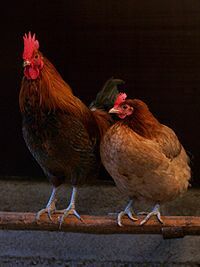 Did God create chickens ready made with the capacity to produce eggs, or was it that He created eggs with the capacity to become chickens and then produce more eggs? In other words, which came first, the chicken or the egg? Did God create Adam and Eve as fully-fledged reproductive beings, or was it foetuses or babies that He created, with the capacity to grow and become reproductive adults? Maybe the 20th century figure of Superman is an endeavour to tackle the question, in that Superman began as Superboy and then grew up – but Superboy actually had parents in the world from which he came, but if Adam had parents too, then Adam was not Adam but his father was! There is a passage in Pir’kei Avot chapter 5, with other versions in Pesachim 54a and elsewhere, which speaks of ten miraculous things created at twilight on the first Sabbath eve. To the list is appended the statement, “Some say, also the tongs made with tongs”. Which came first – the tongs (symbolic of instruments and tools)… or the tongs that made the tongs? The general rabbinic answer is that there had to be a first step, a first set of tongs, and these were the work of the Creator. This in itself does not tell us whether Adam began as an adult or a baby, but he could not have been a mere foetus since then he would have been reliant on his mother, or is it likely that he would have been a baby since babies do not bring themselves up. The sages aver that Adam was created as a mature reproductive being, 20 years of age (Gen. R. 14:7), and the other creations also came into being fully developed: “All the works of creation were brought into being in a completed state” (Num. R. 12:8; see also RH 11a and Chullin 60a). There is a similar view found in Greek and Roman literature. So which came first, the chicken or the egg? Judaism is sure it was the chicken. This entry is filed under Animals, Ask The Rabbi, God, Science & Technology.